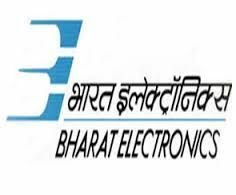 BEL Jobs Recruitment Notification 2018.Bharat Electronics Limited BEL inviting applications for the positions of Deputy Engineer.Interested and Eligible candidates can apply for the positions. Last Date for Submission of Application is on July 11th, 2018..
3. Eligibility: For DEPUTY ENGINEER, GEN / OBC candidates with first class in B.E / B. Tech Engineering Graduate from AICTE approved Colleges in Electronics / Electronics and Communication / Electronics & Telecommunication / Communication / Telecommunication / Mechanical Engineering. Candidates with first class in AMIE / AMIETE, in the above disciplines are also eligible to apply. SC/ST/PWD candidates with pass class in the above degree / disciplines are eligible to apply. Only Indian Nationals need apply. 4. Experience: Minimum 1 year Post qualification of industrial experience as on 01.06.2018 is essential. Teaching experience will not be considered. 5. Nature of Job: Candidate is required to possess Good Leadership, Communication and Presentation Skills to carry out the following activities: Field Testing / Operation / Repair / Maintenance and demonstration of Electronics Equipments. Co-ordinate and Supervise work with engineers. Aware of Production / Testing / Quality Assurance / R&D activities. Should be able to move frequently to different Districts/States at short notices. Age: The maximum age limit for General candidates is 26 years of age as on 01.06.2018 for all posts. Application Fee: Candidates belonging to GEN/OBC category are required to pay an application fee of Rs 500/-The mode of payment is as follows. Candidates are required to remit an amount of Rs.500/- towards application fee. SC/ST/PWD & Ex-Servicemen candidates are exempted from payment of application fee. i) Only Indian Nationals need apply. ii) Candidates belonging to GEN/OBC category are required pay an application fee of Rs 500/- and SC/ST/PWD & Ex-Servicemen candidates are exempted from payment of application fee. iii) Candidates employed in Govt. Quasi-Govt. and Public Sector Undertakings will be required to produce ‘No Objection Certificate’ at the time of interview, without which they will not be allowed to appear for the interview. iv) The total number of posts in each specialisation may be increased or decreased based on the actual requirement at the time of recruitment at the discretion of Management. Applications are invited through online mode only. Applications received in any other format would not be considered. Candidates are requested to apply online using the given link below: http://jobapply.in/bel2018de On-line application will be opened from 27.06.2018 to 11.07.2018.